The intense Pokémon Go craze has already given way to a host of memes, crazy gameplay-related incidents, and as of Wednesday night, the first major car accident linked to the game. But now, it looks like something truly good is coming out of all the Poké-insanity besides players accidentally exercising: people are helping shelter dogs while they play. The post has since been shared more than 25,000 times and has garnered thousands of likes, but most importantly, the shelter has received a huge response from Pokémon Go players who'd like to help, according to a report by the Huffington Post. On Wednesday morning, Muncie Animal Shelter Director Phil Peckinpaugh told the publication he already had a "line of people here" waiting to walk the dogs. It's unclear if the shelter is also a Pokéstop or Gym, but snagging some Poké Balls and potions would be a nice little bonus. But, of course, the whole point is to help dogs in need instead of just trying to evolve your Vulpix into a Ninetales. 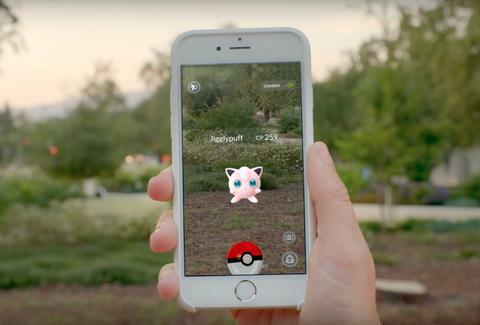 Peckinpaugh urged other shelters to make similar appeals to Pokémon Go players, saying, “I hope it catches on like fire." Somebody should get this dude a Charizard. But it turns out you don't actually have to find a shelter like Muncie to help save dogs while playing the game. Anyway, we hope you find an Arcanine and not just a bunch of damn Pidgeys. Tony Merevick is Cities News Editor at Thrillist and thinks this is the best idea. Send news tips to news@thrillist.com and follow him on Twitter @tonymerevick.